England’s architecture has certainly undergone myriad changes throughout the ages, and styles have often been shaped by notable shifts in social thinking. The Renaissance era, for example, witnessed a variety of architectural tastes throughout Europe, though England was slow to keep up, being quite fond of Gothic traditions. While tracing Great Britain’s architectural history through monarchical figures is achievable, one can only go so far back in time before he runs the risk of making historical mistakes–the land’s beginnings are shrouded in mystery, and there have been many kings. However, distinct designs in lasting structures that were directly influenced by kings began gracing the landscape in the Middle Ages. In 1078, on the orders of William the Conqueror, the construction of the White Tower–a symbol of Norman dominance–was begun. Though its defining whitewash is all but gone, this building is today considered the “hall keep” of the Tower of London complex. 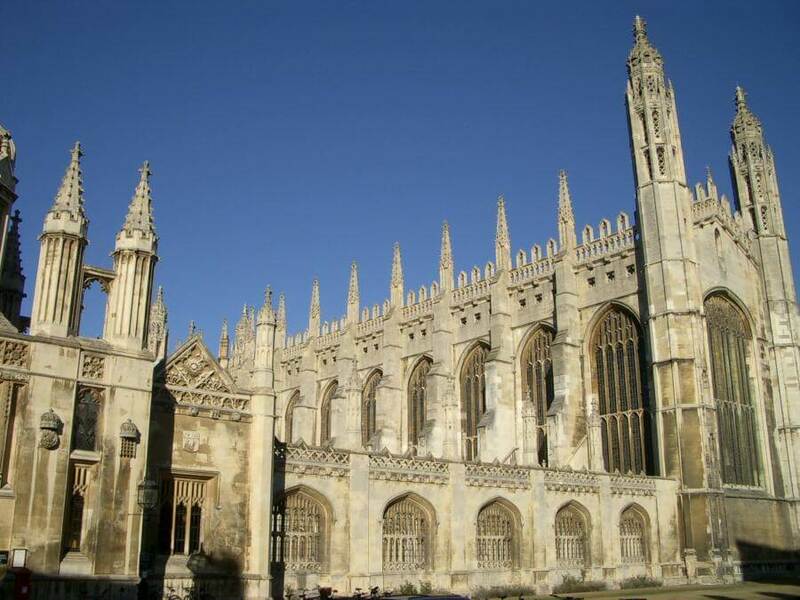 The King’s College Chapel (Henry VI) was begun in 1446, witnessed the Wars of the Roses, and was finished in 1515 by Henry VIII. This classic example of late Gothic architecture also marks the beginning of a transitional period in building styles. Under the rule of the Tudor monarchy, England found peace and prosperity. Architecture saw the final stages of Medieval design, and the development of more refined architecture, such as the depressed arch and fan vaulting. The King’s College Chapel, of course, is famous for its Tudor Arch. There are many examples of Tudor and Elizabethan architecture throughout Great Britain, including Hampton Court Palace and Hardwick Hall. In the 1600s, Palladianism, (based loosely on a philosophy centered around a 16th Century Italian architect named Andreas Palladio), inspired such English architects as Inigo Jones, who designed the Queen’s House in Greenwich for the wife of James I. Of the Classical styles, Palladian architecture is the most unremarkable, though it was easily ahead of its time. In the 18th Century, England witnessed a new era and new styles when King George I and the Whigs took the throne. An example of implemented change may be found in Chiswick House, which may be considered Lord Burlington’s attempt to challenge the popularity of Baroque styles. Originally purchased by her husband, King George III in 1761, Queen Charlotte may have considered Buckingham House a comfortable place to raise her 15 children. Remodeling of what was then called “the Queen’s House” began in 1762. The estate has undergone several changes since then: in the 1820s, George IV demolished and replaced the north and south wings, and added the Marble Arch; after her marriage to Prince Albert, Queen Victoria added nurseries in the 1840s; the famous forecourt where the “Changing of the Guard” commences, as well as many gates and railings, was added around 1911, and in 1913, the Palace received a facelift to remove damage caused by soot. Today, modern English architecture, like that demonstrated by such noted companies as HNW, is influenced a bit less by the tastes and whims of the British Monarchy. However, these organisations do a great deal to ensure England’s history and varying architectural styles are not lost, but conserved, while being blended with the needs and preferences of an ever changing world. 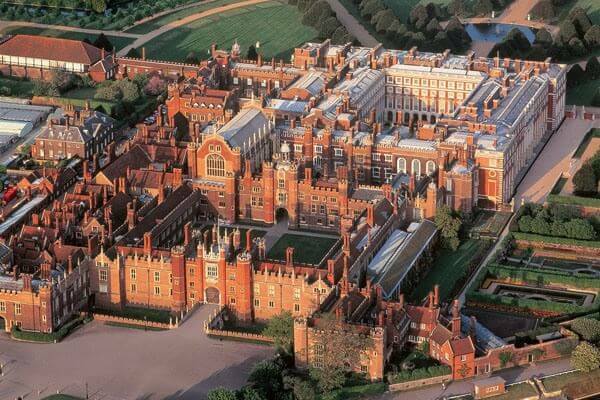 Ironically, it is in this way that the influence of the British monarchy can still be felt in British architecture.